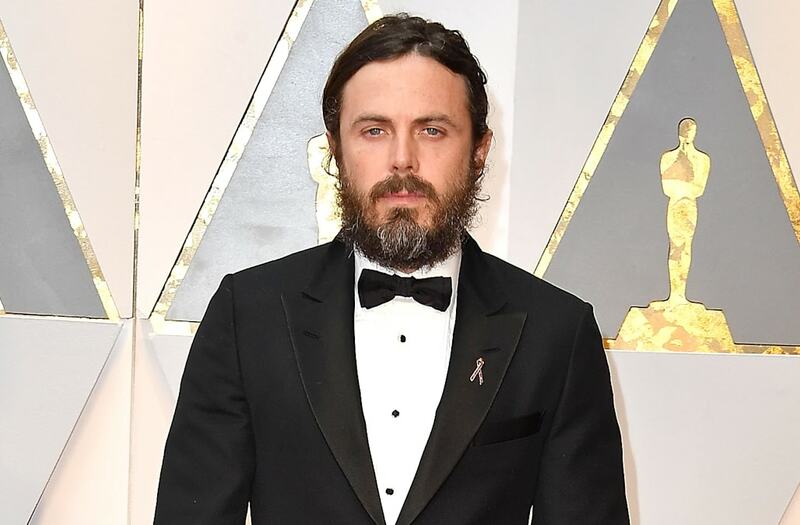 Casey Affleck is speaking out about sexual harassment claims against him that have shadowed his Best Actor Oscar win on Sunday. The allegations against Affleck stem from 2010 lawsuits filed by two women who worked with him on his controversial film starring Joaquin Phoenix, I'm Still Here. He has denied the claims, and the suits were settled out of court. The 41-year-old actor talked about the lawsuits in a new interview with The Boston Globe. Affleck said that both sides are not allowed to comment on it, and that those commenting on the claims online don't know what happened. "I believe that any kind of mistreatment of anyone for any reason is unacceptable and abhorrent, and everyone deserves to be treated with respect in the workplace and anywhere else," Affleck tells the newspaper. "There's really nothing I can do about it. Other than live my life the way I know I live it, and to speak to what my own values are, and how I try to live by them all the time." Singer/actor Justin Timberlake (L) performs onstage during the 89th Annual Academy Awards at Hollywood & Highland Center on February 26, 2017 in Hollywood, California. Amanda White, a producer, and Magdalena Gorka, a cinematographer, both filed a lawsuit against Affleck in July 2010, and settled out of court in September of that year. Both claimed they were subjected to vulgar treatment on the set, which Affleck had denied. White was seeking $2 million in damages, and Gorka was seeking $2.5 million in damages. "The disputes between Flemmy Productions, LLC and Casey Affleck with Amanda White and Magdalena Gorka in connection with the film I'm Still Here have been resolved to the mutual satisfaction of the parties and the lawsuits are being dismissed," Affleck's camp said in a statement to The Hollywood Reporter in September 2010 after the actor settled the cases. Still, some in Hollywood have been outspoken about their unhappiness with Affleck's Oscar win. "Can we check Best Actor again," The Office star B.J. Novak tweeted on Sunday, referencing the Academy Awards' Best Picture flub. Fresh Off the Boat actress Constance Wu also tweeted about the scandal in January. "Boys! BUY ur way out of trouble by settling out of court!" she tweeted. "Just do a good acting job, that's all that matters! bc Art isn't about humanity, right?" Boys! BUY ur way out of trouble by settling out of court!Just do a good acting job,thats all that matters!bc Art isn't about humanity,right? ET spoke with Affleck on the Oscars red carpet on Sunday, where he talked about how his older brother Ben's stardom has affected his own career. "It maybe seems hard from the outside but he's had a pretty good time and I've had a weird life," Casey told ET. "I've been out here since I was 17 years old and so I've gotten to know lots of actors who have had a lot of success and some failures and some hard times and some success again."